This exciting project involves the creation of a new student residential building located east of Strathclyde University, just off the city’s Duke Street. 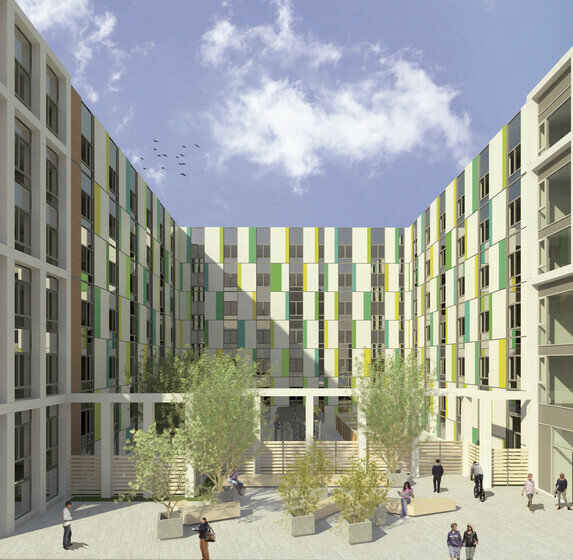 The development provides 458 bedrooms, comprising a mixture of suits and clusters. We are providing building services engineering, fire engineering and BREEAM services for the project. 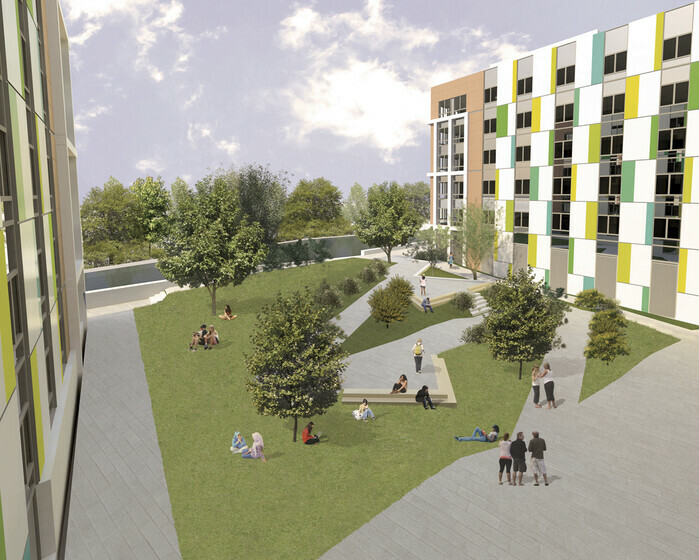 The development will incorporate a Combined Heat and Power service, producing electricity and space heating simultaneously onsite, providing a modern and low carbon approach to student living. Through detailed coordination with the structural engineer and architect, the services were coordinated within the structural zone to limit services plant spatials required. Utilising the principles of soft landings and the consideration of commissioning at the concept stage, all valving was concentrated in key maintenance areas to limit extent of access required and ease control for maintenance engineers.